Is Your Current Matting Agent Not Getting the Job Done? Good News…We’ve Got Your Ideal Solution, our Exclusive Pergopak® Organic Flatting and Matting Agents! Is something missing from your current silica or polypropylene matting agent? Is there a certain benefit or physical property you’d like to have that’s just not quite working right? If the answer to either of these questions is yes, we’ve got the ideal solution you should consider now! It’s our exclusive line of Pergopak® flatting and matting agents, which are organic thermoset polymethyl urea resins (PMU) offering significantly different performance advantages and benefits versus what you’re currently using. Pergopak products help you achieve a higher performing balance of low gloss, rheology, abrasion resistance, coin-marking, water resistance, chemical resistance, heat resistance and soft feel – that they are unable to achieve with silica or wax flatting agents alone. A distinct and key advantage of our Pergopak® offerings are that they disperse quickly and easily, with relatively little dusting − in both the grind and let-down. Right now is the time to see for yourself below the high performance of our Pergopak products as they are far easier to post-add during let-down versus silica matting agents. We look forward to working with you! As part of J.M. Huber Corporation’s more than 100 years of commitment to community engagement, we are delighted to announce an expanded partnership with Habitat for Humanity International (HFH). Through a combination of financial support, product donation and employee and family/owner volunteerism, we will be partnering with HFH in building homes within the communities where Huber people work and live. We hope our video proves the power and strength of our exclusive Pergopak® organic flatting and matting agents, which are organic thermoset polymethyl urea resins (PMU). They allow the creation of surface properties and visual and physical effects, which cannot be achieved by standard matting agents like silicas or waxes. A variety of application possibilities include coatings, inks, agriculture and paper. We carry four high-performing grades and invite you to learn more by clicking here. For additional product information or to Contact Us, click below. 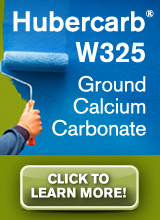 We are pleased to introduce Hubercarb® W325 ground calcium carbonate, as this product contains a couple of valuable and unique advantages you will definitely find interesting. First, it’s the perfect low cystalline silica alternative, as this exclusive calcium carbonate grade contains no detectable silica at 0.05% which means NO SDS warning labels. Secondly, the product is manufactured in Quincy, Illinois from the brightest limestone ore available on the market. 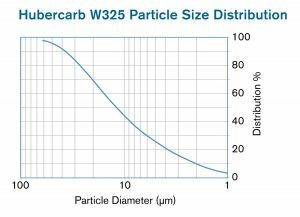 An additional benefit includes a consistent particle size at 13 microns. While the grade was developed primarily for use in paints, coatings, adhesives, caulks and sealants, it has numerous other application possibilities. Read all about the newest addition to our comprehensive line-up of ground calcium products by clicking below. Certainly, you can also Contact Us directly for more information. We look forward to hearing from you! Season’s Greetings from Huber Engineered Materials! It’s Time to Shine as We Go Live!